Retail Graphics Installation is one of the specialties that Graphic Installation crew completes nationwide. We install compelling and formidable national retail graphics that will turn your visitors into buyers. Retail shops nationwide that need installation of store signs, store display, window display, retail sale signs, in-store promotion, or any other retail graphics, trust our expertise and professionalism. Your business needs retail graphics that will wow, attract, and guide your customers. 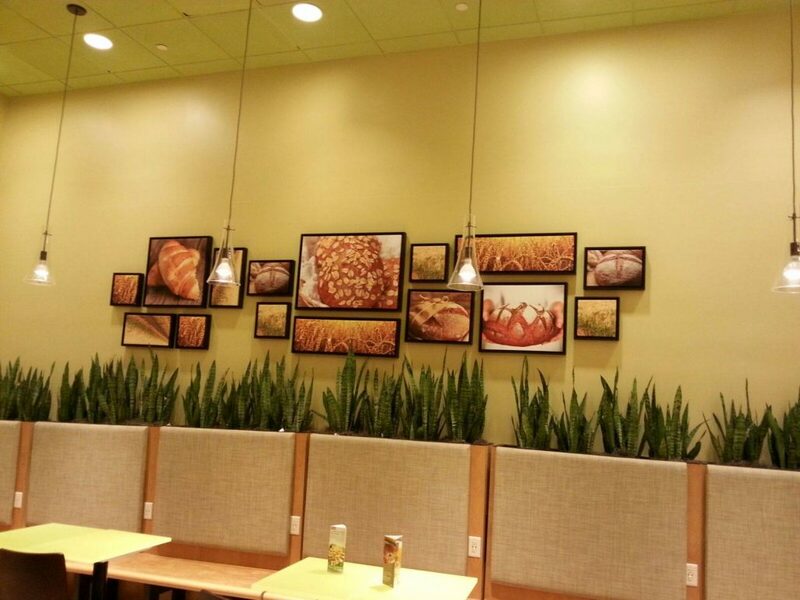 However, even if you have the most compelling retail graphic designs, you also need flawless installation. If the installation part is not done right, you will miss out on the best results you can achieve. Whether you need installation of standoff signs, pole banners, retail shop window graphics, retail store window graphics, large format printed graphics, special event displays, floor graphics, trade show graphics, retail store signs, retail sale signs, retail sidewalk signs, outdoor retail store signs, or any other retail display graphics, you can contact us today and make sure that you get exactly what you need. Graphic Installation crew of professional and experienced craftsmen will take your retail graphics project to the next level. We are your full-service retail graphics installers, experienced in handling a comprehensive variety of graphic installation projects on a national level. Request a free, personalized estimate and consult with us to learn more and get started on your project today. 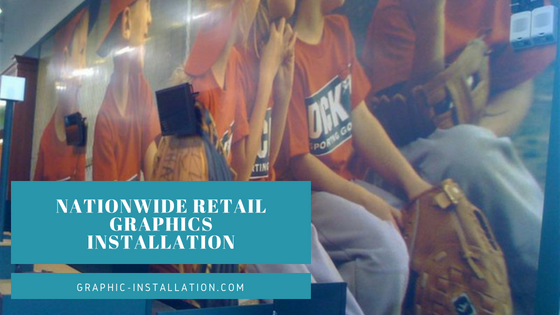 More and more retail shops realize the importance of in-store graphics, various store signs, retail display graphics, retail window vinyl graphics, retail shop window graphics, special event displays, and other large format graphics for their business. To attract customers, today it is not enough only to offer great products. Retail shops need to advertise in the store and show their potential buyers why their shop is the best option. Retail graphics are an inexpensive and effective option to create a unique consumer experience and increase revenue in time. Graphic Installation crew of retail graphics installers will take on any size retail store graphics project and complete it in a short time period. Retail graphics that persuade and retail windows and floors that impress – that is our promise to you. Dress up your retail shop with us and get guaranteed top rated quality. Head-turning retail graphics will perform 100% only after we seamlessly install them. Graphic installation crew will meet your goals, time frames, and budget. With our state-of-the-art retail graphics installation equipment, your business will get retail signage and graphics installation of the highest quality. Retail Graphic Installation across the U.S.
Graphic Installation crew of professional craftsmen can install street pole banners of any size and dimensions, nationwide, across the U.S. Use street pole banners, indoor or outdoor flag and banner displays to express your vision, your advertisement, increase awareness around your brand, announce your event, and pass the message you care about. We will make sure to install the banner on a street pole so that it stays durable and long lasting. Professionally installed, your street pole banner will ensure safe and reliable performance. Graphic Installation crew begins the process by consulting with you to understand your needs and special requirements. We will work directly with you through all installation stages. Contact us today to explain what do you need. We will then provide you with a free estimate the same day. Retail shops love to use standoff signs because they come in various sizes. These sizes depend on businesses’ needs. Whether you need a sign for your advertisement, for the menu, or for other purposes, like branded signs, door numbers, restroom signs, and more, standoff signs will be a great choice. Graphic Installation crew will install standoff signs in your retail shop as an ultimate wall sign, with care and perfectionism. We provide standoff signs installation services nationwide, with quick turnaround time, and a free estimate. Graphic Installation team is fully equipped and well-versed in installing, managing, and supervising every point of your retail graphics installation project. Thousands of hours of experience from installing on-site street pole banners to installing standoff signs inside retail shops provide us with unmatched experience and expertise. Our installers team has many years of experience working with a diverse range of retail graphics installation projects. This is why we are the first choice for many retail shops and businesses. They know that they can rely on our efficiency, flexibility, and quality – every time. Graphic Installation crew is based in New York, New Jersey, and Boston. We travel nationwide expeditiously on your call to provide you with the best retail graphics installation service in a short period of time. When you contact us, we will give you a free estimate and start the installation project as soon as possible. Our installation expert team travels quickly to place your retail graphics where you need them. Graphic Installation service processes are safe and efficient, providing maximum results in a short period of time. We recognize that retail graphics installation is time-critical for any retail shop and business of any kind. This is why we guarantee reliable and precise, detail-oriented installation service, available even for the last minute requirements. Whether you need retail window vinyl graphics, retail display graphics, retail store graphics, retail sale signs, retail sidewalk signs, and any kind of retail store signs, including outdoor retail store signs, contact us today. We offer quick turnaround time, retail store graphics safe installation processes, and no obligation quote for all retail shops and all businesses, nationwide. 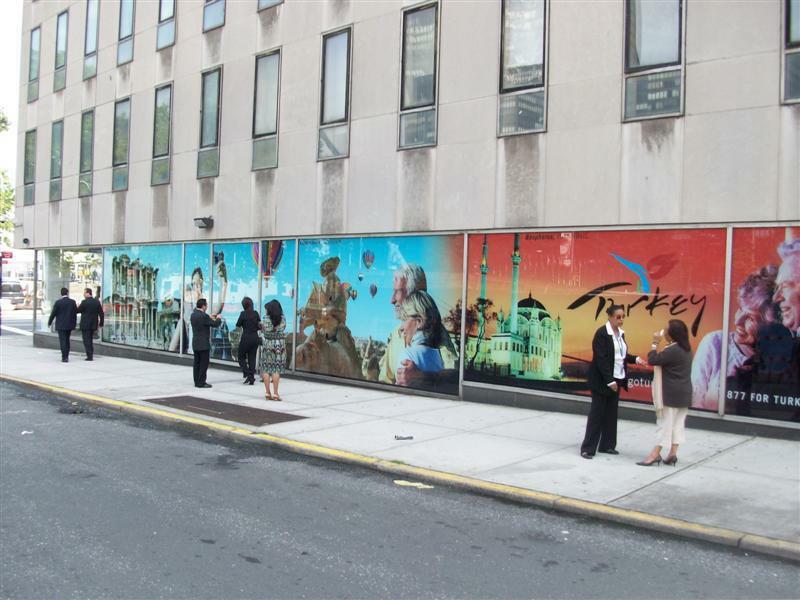 Regardless of the retail graphics installation project size, our distributed team will handle it with care, professionally and diligently, within the provided time frames, and the budget available. There no more or less important projects for us. All retail graphics installation projects, whether small or large scale, are equally important to us. Your satisfaction and success are our main motivators. 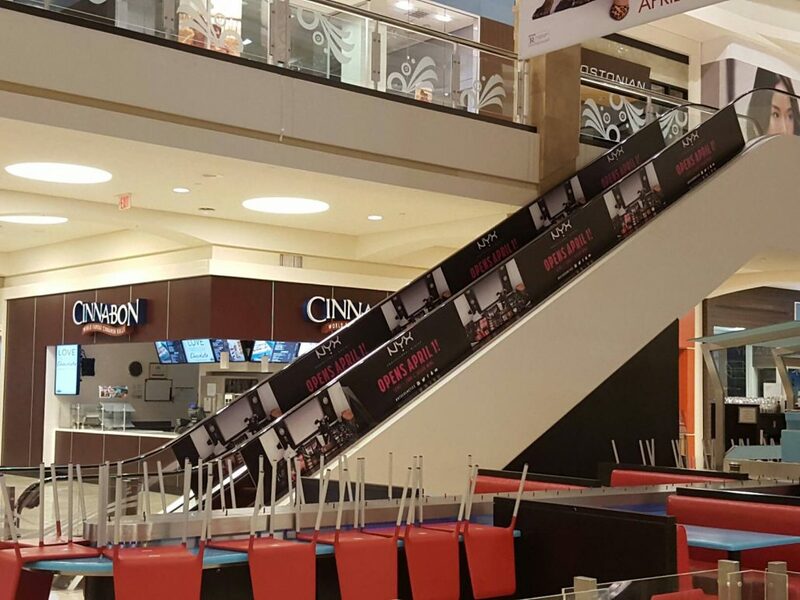 Our team of skilled professionals will install and remove retail graphics signs, store display, window display, retail sale signs, in-store promotion, or street pole banners. Whether your retail graphics installation project takes place indoors or outdoors, in a retail shop, a mall, or in an office, Graphic Installation team is ready to complete the job for you. Some of the popular retail brands and main street retail shops use our retail graphics installation services for years because we are well equipped to handle all aspects of graphic installations. Our customers always come back to us because we fully understand and respect the tight deadlines that retail sector often faces with. We even offer rush and after hour retail graphics installation services. Efficiency without compromise on quality is what we are well known for. Graphic Installation crew of expert installers will accommodate a variety of your national retail graphics installation requests. Contact us today!